by providing interventions and individual and team guidance drawing on our considerable experience. GA’s core aim is to improve the end-to-end alignment, and thus the long-term performance, of the supply chains that support our businesses and our industries. Typically, our consulting projects are based on providing guidance to the top team and/or leading internal project teams across geographies. We can do this in ‘light-touch’ mode, with internal teams conducting analysis and project managing changes, or we can provide more support with market research, analytics, modelling and implementation where required. Apart from our frameworks, our specialised capability in designing customer and supplier research, network modelling and in leading effective strategy workshops are particularly valued by clients. GA also supports clients on projects to identify and address specific supply chain issues that are constraining their growth or profitability, or on projects to support expansion into new channels or markets. Our frameworks and strategy tools enable focus on the core issue or opportunity and provide clarity on the most direct strategic path to resolution. 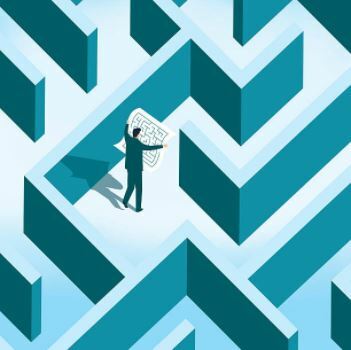 The strategy development techniques that we have fine-tuned over many years of consulting enable individuals and teams to cut through complexity and step up to the next level – proactively addressing strategic issues and opportunities, and moving beyond business as usual. Both experienced and high-potential executives gain enormous value from spending 1-2 days learning or refreshing on strategy development techniques, and applying them real-time to their own business. The techniques apply across industries - we have an ongoing relationship with one of Australia’s major financial institutions, for example, to run Strategy Masterclasses for their key marketing teams. Supply chain is now recognised to be one of the most powerful weapons in the strategic arsenal for many organisations. But it’s hard to see this potential when only focusing on the day-to-day, or if executives do not have a background in strategy. The Supply Chain Strategy Masterclass brings the ‘big picture’ of the supply chain to life, introducing frameworks and concepts through which to identify the potential for high impact, as well as tools and techniques for turning strategy into action. Even organisations that are well versed in strategy development and proactive in their initiatives for moving forward, can face the problem of ‘group think’ or of relying on unstated assumptions about the world that a more objective party would challenge. GA’s deep experience and global, cross-industry exposure enables us to quickly review and give feedback on proposed supply chain strategies. This is conducted in a similar way to the ‘red team’ challenges used by the US Defence – short, sharp reviews conducted late (but not too late) in the project allowing assumptions to be surfaced and logic to be tested. The Special Interest Group (SIG) brings together executives from different organisations to see and hear, up close, how other companies are tackling specific issues, such as supply chain analytics, warehouse automation or project supply chains. The SIG is brought together by GA focused on a particular topic, after a request from one party. GA facilitates the sharing of experiences, site visits etc. within the context of action learning. John Gattorna and Deborah Ellis also provide mentoring support for senior executives, especially those with supply chain responsibilities and C-level roles in the logistics industry. Having an external, but experienced, sounding board helps leaders grow, widen their perspective and clarify their thinking.